It’s time to redecorate. Are you going to do it yourself, or are you going to get a professional painter and decorator to do the job for you? You might want to consider some of the following reasons for using a professional before you make your final decision. Trying to get everything done when you are also doing a full-time job is stressful and exhausting. It will take a long time and you will be forever clearing up the mess. 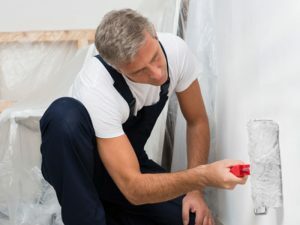 You won’t have any of these worries if you have a professional doing the job for you, because you can carry on with your normal life and leave them to do the painting and decorating. Not only will the end result look good and last longer, because everything is done exactly how it should be, but you will still have your sanity at the end of it all! Time is always an important factor. How many hours are you prepared to spend on decorating? A professional will always be able to get the job done much more quickly than you ever could. Not only will the job be done more quickly, but you won’t need to take any time off work to do it yourself. You won’t need to work in the evenings after a full day’s work or at the weekends. You can carry on with your normal life while the professionals get on with the job in hand. The professionals have lots of experience so not only can they get the job finished more quickly, they will give the work a much better finish. Their experience will also enable them to overcome any snags they might come across which would possibly stump a DIYer. Most jobs are more easily and more quickly done with the right equipment. The professional will have these. If you don’t already have everything you need, doing the work yourself will just naturally involve added costs, when you need to buy something you don’t already have. Not only do the professionals have experience with the actual painting and decorating, but they can also give expert advice about colours and textures and any other decisions you might have to make. Putting the right colours together and in the right places is part of their job. Obviously we would hope that everything runs smoothly, but you are not taking any risks by having professionals working in your house, because they will be covered for public liability. If by any chance there is an accident or something is damaged, they will be fully insured and you will be reimbursed. If you are still in any doubt about whether you should go ahead and give the job to a professional or do it yourself, why not give us a call on 07976 404 742.